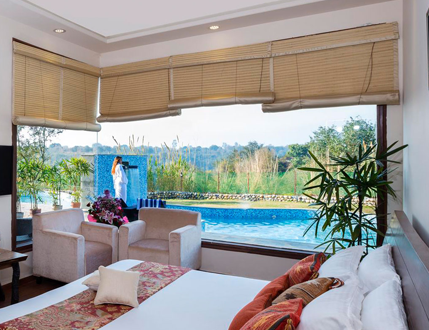 The super luxury tented accommodation at Gaj provides a private & exclusive escape. 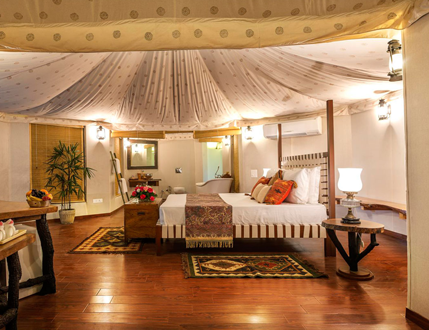 Besides the bedroom area, the tents also have a distinct seating space and a well-appointed spacious bathroom. 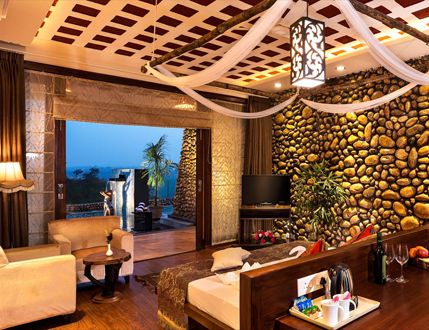 The décor is crafted to echo a vintage feel and let our guests experience the bygone era of luxury safari camps. The tents are set around a central open gathering space and each of the 6 tents has their own private sit-outs too.